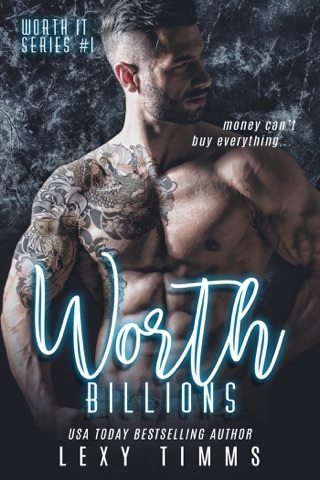 From USA TODAY Bestselling Author, Lexy Timms, comes a billionaire romance that'll make you swoon and fall in love all over again. Jamie Connors has given up on finding a man. Despite being smart, pretty, and just slightly overweight, she's a magnet for the kind of guys that don't stay around. Her sister's wedding is at the foreground of the family's attention. Jamie would be fine with it if her sister wasn't pressuring her to lose weight so she'll fit in the maid of honor dress, her mother would get off her case and her ex-boyfriend wasn't about to become her brother-in-law. Determined to step out on her own, she accepts a PA position from billionaire Alex Reid. The job includes an apartment on his property and gets her out of living in her parent's basement. Jamie has to balance her life and somehow figure out how to manage her billionaire boss, without falling in love with him. Jamie Connors has decided a job is more important than a boyfriend. She's landed an awesome position working as billionaire Alex Reid's personal PA. It is not meant to be a job with benefits and yet she finds herself in Alex' bed. Despite being smart, pretty, and slightly overweight, she doesn't believe she's attractive enough for a man like Alex. Trying to manage work and put as much time into her sister's wedding, Jamie finds herself trying to please everyone. Her sister's wedding is at the foreground of the family's attention. Jamie would be fine if her sister wasn't so bossy, if her mother would stop nagging and her awful ex-boyfriend wasn't about to become her brother-in-law. Jamie has to learn to love herself again, speak up for herself and have the confidence to go after what she wants. She also needs to prove to Alex that she's perfect for her job and for his bed. How close can you get to the fire and not get burned? Landing the dream job, working and dating her incredibly hot boss and at the same time gaining the confidence she never had, Jamie doesn't think live could get any better. She's helping to manage a multi-billion dollar company. Her family issues seemed to be resolved and even though she and Alex have to figure out the wrinkles, it looks like they'll be able to be professional at work and romantic after. Except perfect isn't quite exactly how Jamie imagined it would be. This is a steamy romance, NOT erotica. It’s was good writing but all three books left you with a cliffhanger and that’s really annoying and I didn’t fall in love with the characters enough to purchase more in the series. Good read but if your looking for a complete series look elsewhere.